Famous Logo Evolutions – Is It Time To Change Your Logo? Everywhere you look, you are bound to see a company’s logo. Not just in advertisements… but on the products in your home; on your groceries, your phone, your computer, your appliances, your pens, your clothes, even your currency! Some logos have reached “icon” status, and are recognized by billions of people all over the world. 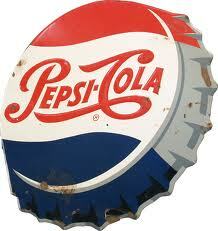 However, even the most recognizable and most famous logos have gone through changes over the years. Another blog takes a look at 21 Logo Evolutions, and gives a brief history of each company’s design. I sampled a few in the images above but it is an interesting look at how logos have changed over the years. In some cases, the changes are very subtle, in others, drastic. Some companies go decades without making a change, then can make several in a short span of time. In any case, it is fun to look at the life of logos and see which resonates with us, and which remind us of our childhood. I would venture to bet any one of us can look at the Pepsi logos above and immediately pick out the one we remember the most (and probably date ourselves at the same time). Ah, the “good old days,” right? This got Your Guerrilla Marketer thinking… is it time to change your logo? Changing a logo is not an easy or inexpensive decision. Besides the design cost, there is the expense of changing as little as company letterhead and corporate apparel to larger expenses like fixtures, fleet vehicles and packaging, depending upon the size of your company. And, when it comes to Your Guerrilla Marketer, it always comes back to ROI – Return on Investment. Is it worth it? There are many factors to changing a logo to consider. Besides updating your logo to better fit your company’s image, you may get additional press exposure. Announcing a logo change allows you another opportunity to be in front of your customers and get exposure to potential new ones. On the other hand, in some cases, there is the possibility of consumer backlash, as people who love a brand may identify with a logo. What does your logo currently say about you? Is your logo Different – does it stand out from the competition? Is your logo Obvious – or does the viewer have to guess what your logo means when seeing it for the first time? 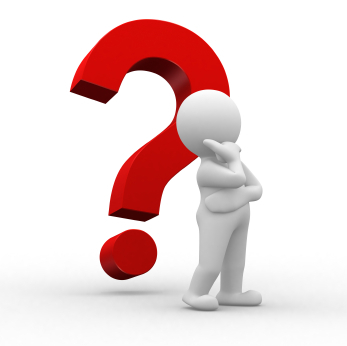 Is your logo Memorable – can your customers pick out your logo if it did not have your company name? Has your company expanded? Perhaps your logo was created when your company focused on a singular product or service and has since expanded. Does your logo reflect your overall message, or is it too tied in to one area? Are you hurting yourself by appearing to be limited, when you offer so much more? Does your logo look outdated? If you are in a technology-driven industry, for example, is your logo modern looking? Perhaps the font screams “80s!” or the product is from a period which is no longer relevant in your market (like the Pepsi bottle cap logo). Is your logo too complicated? A great example of this is the original Apple logo, created by co-founder Ron Wayne, which featured Isaac Newton under an apple tree. Does anyone see this fitting on the back of your iPod or iPhone? In addition to scale problems, does your logo feature too many colors that make it too complicated or too expensive to print? Your logo is not your brand or your company identity. However, your logo should represent your brand and help you speak to your identity. Your Guerrilla Marketer will review his favorite designers and pay tribute to some of the best logos of all time! Please post your thoughts below! To subscribe to future blogs, please enter your email address on the upper left hand side of the home page. Thanks! Great info Rick! Reminds me of when The Gap tried to change their logo and was met with consumer backlash (can you say PR nightmare?). Well done. You are correct, Brian. The Facebook and Twitter outrage against the new GAP logo was tremendous. So much so, they abandoned the new logo to return to the original. Could you imagine if social media existed when New Coke came out in the mid 80s?